According to his own inscriptions, letters and administrative documents from his reign, he sought to improve the lives of those who lived under his rule. 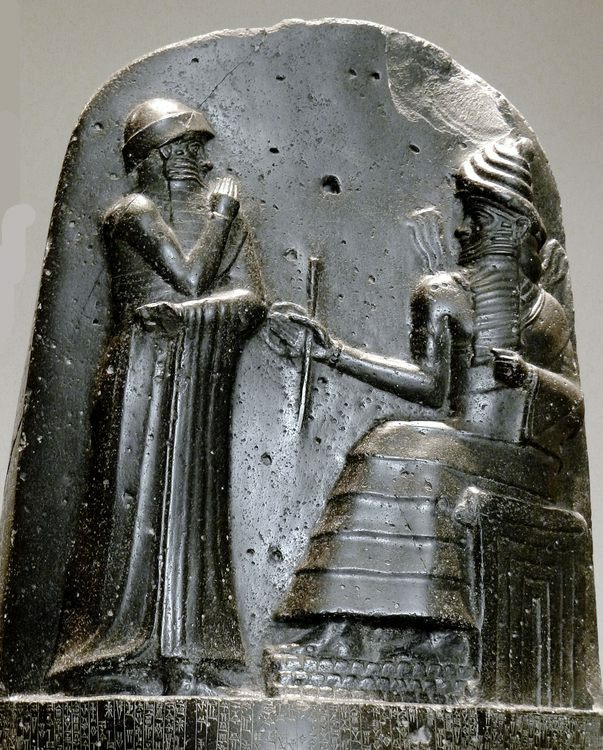 Hammurabi (also known as Khammurabi and Ammurapi, reigned 1792-1750 BCE) was the sixth king of the Amorite First Dynasty of Babylon, assumed the throne from his father, Sin-Muballit, and expanded the kingdom to conquer all of ancient Mesopotamia. The kingdom of Babylon comprised only the cities of Babylon, Kish, Sippar, and Borsippa when Hammurabi came to the throne but, through a succession of military campaigns, careful alliances made and broken when necessary, and political maneuvers, he held the entire region under Babylonian control by 1750 BCE. According to his own inscriptions, letters and administrative documents from his reign, he sought to improve the lives of those who lived under his rule. 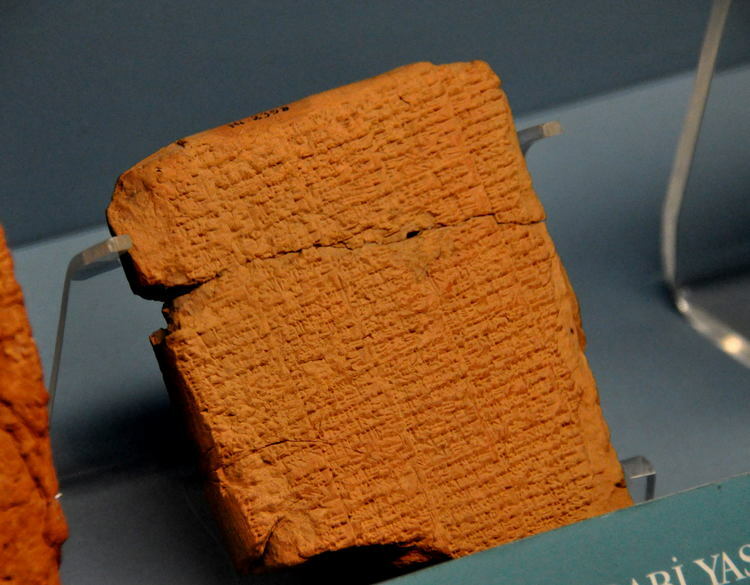 He is best known in the modern day for his law code which, although not the earliest code of laws, came to serve as a model for other cultures and is thought to have influenced the laws set down by Hebrew scribes, including those from the biblical Book of Exodus. 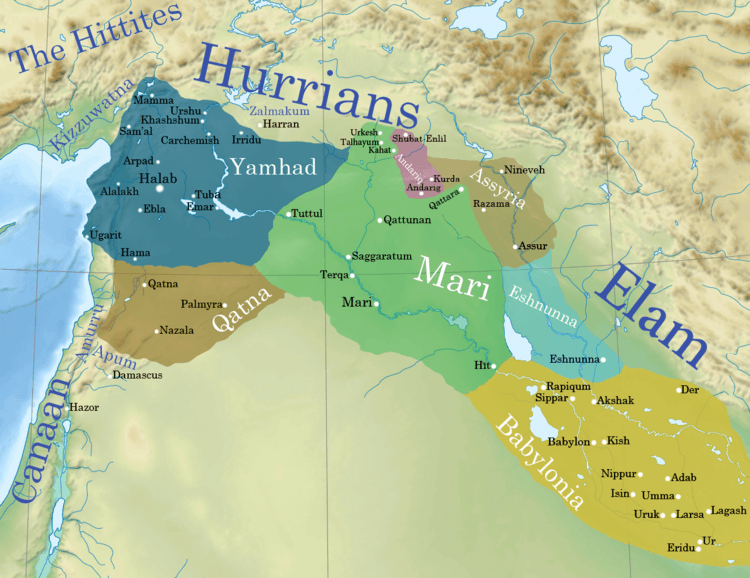 The Amorites were a nomadic people who migrated across Mesopotamia from the coastal region of Eber Nari (modern day Syria) at some point prior to the 3rd millennium BCE and by 1984 BCE were ruling in Babylon. The fifth king of the dynasty, Sin-Muballit (reigned 1812-1793 BCE), successfully completed many public works projects but was unable to expand the kingdom or compete with the rival city of Larsa to the south. Initially, Hammurabi gave Rim Sin I no cause for alarm. He began his reign by centralizing and streamlining his administration, continuing his father’s building programs and enlarging and heightening the walls of the city. He instituted his famous code of laws (c. 1772 BCE), paid careful attention to the needs of the people, improved irrigation of fields and maintenance of the infrastructures of the cities under his control, while also building opulent temples to the gods. At the same time he was setting his troops in order and planning his campaign for the southern region of Mesopotamia. When the Elamites invaded the central plains of Mesopotamia from the east, Hammurabi allied himself with Larsa to defeat them. That accomplished, he broke the alliance and swiftly took the cities of Uruk and Isin, previously held by Larsa, by forming alliances with other city-states such as Nippur and Lagash. The alliances he made with other states would repeatedly be broken when the king found it necessary to do so but, as rulers continued to enter into pacts with Hammurabi, it does not seem to have occurred to any of them that he would do the same to them as he had previously to others. Once Uruk and Isin were conquered, he turned and took Nippur and Lagash and then conquered Larsa. A technique he seems to have used first in this engagement would become his preferred method in others when circumstances allowed: the damming up of water sources to the city to withhold them from the enemy until surrender or, possibly, withholding the waters through a dam and then releasing them to flood the city before then mounting an attack. This was a method previously used by Hammurabi’s father but with considerably less efficacy. Larsa was the last stronghold of Rim Sin and, with its fall, there was no other force to stand against the king of Babylon in the south. With the southern part of Mesopotamia under control, Hammurabi turned north and west. 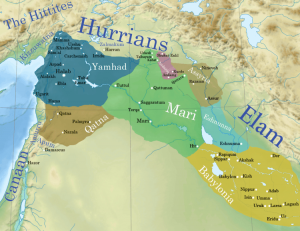 The Amorite Kingdom of Mari in Syria had long been an ally of Amorite Babylon, and Hammurabi continued friendly relations with the king Zimri-Lim (reigned 1755-1761 BCE). Zimri-Lim had led successful military campaigns through the north of Mesopotamia and, owing to the wealth generated from these victories, Mari had grown to be the envy of other cities with one of the largest and most opulent palaces in the region. Scholars have long debated why Hammurabi would break his alliance with Zimri-Lim but the reason seems fairly clear: Mari was an important, luxurious, and prosperous trade center on the Euphrates River and possessed great riches and, of course, water rights. Holding the city directly, instead of having to negotiate for resources, would be preferable to any ruler and certainly was so to Hammurabi. He struck swiftly at Mari in 1761 BCE and, for some reason, destroyed it instead of simply conquering it. This is a much greater mystery than why he would march against it in the first place. Other conquered cities were absorbed into the kingdom and then repaired and improved upon. 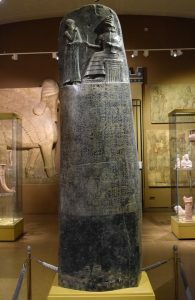 Why Mari was such an exception to Hammurabi’s rule is still debated by scholars, but the reason could be as simple as that Hammurabi wanted Babylon to be the greatest of the Mesopotamian cities and Mari was a definite rival for this honor. Zimri-Lim is thought to have been killed in this engagement as he vanishes from the historical record in that same year. From Mari, Hammurabi marched on Ashur and took the region of Assyria and finally Eshnunna (also conquered by damming up of the waters) so that, by 1755 BCE, he ruled all of Mesopotamia. Although Hammurabi spent a considerable amount of time on campaign, he made sure to provide for the people whose lands he ruled over. 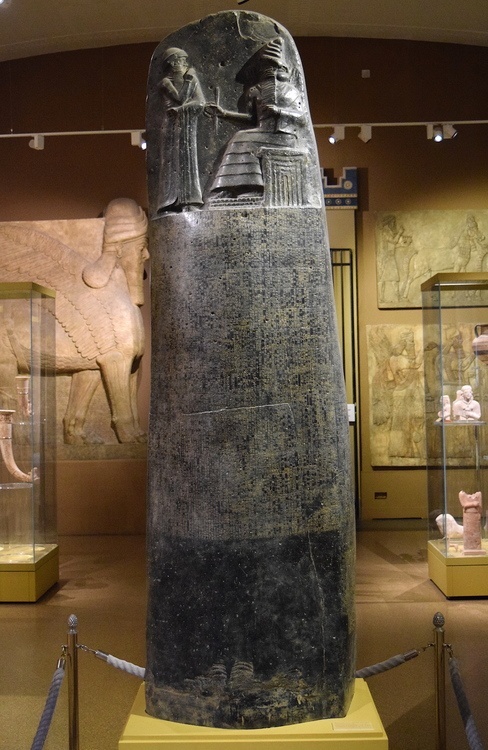 A popular title applied to Hammurabi in his lifetime was bani matim, ‘builder of the land’, because of the many building projects and canals he ordered constructed throughout the region. If he break another man’s bone, his bone shall be broken. And the house which he built fall in and kill its owner, then that builder shall be put to death. If it kill the son of the owner of the house, the son of that builder shall be put to death. If a man’s wife has been pointed out because of another man, even though she has not been caught with him, for her husband’s sake she must plunge into the divine river. The woman who did so and survived the ordeal would be recognized as innocent, but then her accuser would be found guilty of false witness and punished by death. The ordeal was resorted to regularly in what were considered the most serious crimes, adultery and sorcery, because it was thought these two infractions were most likely to undermine social stability. 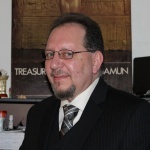 Sorcery, to an ancient Mesopotamian, would not have exactly the same definition as it does in the modern day but would be along the lines of performing acts that went against the known will of the gods — acts which reflected on oneself the kind of power and prestige only the gods could lay claim to. 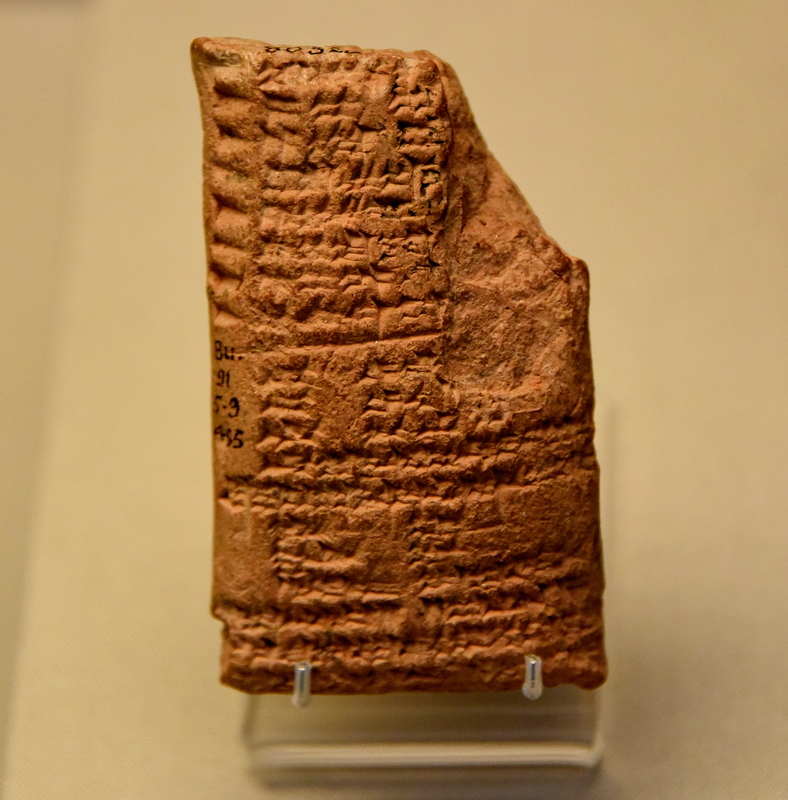 Tales of evil sorcerers and sorceresses are found throughout many periods of Mesopotamian history and the writers of these tales always have them meet with a bad end as, it seems, they also did when submitted to the Ordeal. By 1755 BCE, when he was the undisputed master of Mesopotamia, Hammurabi was old and sick. 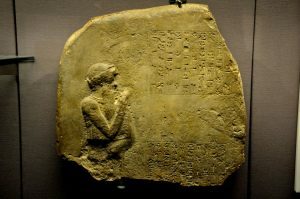 In the last years of his life his son, Samsu-Iluna, had already taken over the responsibilities of the throne and assumed full reign in 1749 BCE. The conquest of Eshnunna had removed a barrier to the east that had buffered the region against incursions by people such as the Hittites and Kassites. Once that barrier was gone, and news of the great king weakening spread, the eastern tribes prepared their armies to invade. Hammurabi died in 1750 BCE, and Samsu-Iluna was left to hold his father’s realm against the invading forces while also keeping the various regions of Babylonia under control of the city of Babylon; it was a formidable task of which he was not capable. The vast kingdom Hammurabi had built during his lifetime began to fall apart within a year of his death, and those cities that had been part of vassal states secured their borders and announced their autonomy. None of Hammurabi’s successors could put the kingdom back together again, and first the Hittites (in 1595 BCE), then the Kassites invaded. The Hittites sacked Babylon and the Kassites inhabited and re-named it. The Elamites, who had been so completely defeated by Hammurabi decades before, invaded and carried off the stele of Hammurabi’s Law Code which was discovered at the Elamite city of Susa in 1902 CE. Hammurabi is best remembered today as a lawgiver whose code served as a standard for later laws but, in his time, he was known as the ruler who united Mesopotamia under a single governing body in the same way Sargon the Great of Akkad had done centuries before. He linked himself with great imperialists like Sargon by proclaiming himself “the mighty king, king of Babylon, king of the Four Regions of the World, king of Sumer and Akkad, into whose power the god Bel has given over land and people, in whose hand he has placed the reins of government” and, just like Sargon (and others), claimed his legitimate rule was ordained by the will of the gods. It is a testimony to his rule that, unlike Sargon or his grandson Naram-Sin from earlier times, Hammurabi did not have to re-conquer cities and regions repeatedly but, having brought them under Babylonian rule, was, for the most part, interested in improving them and the standard of living of the inhabitants (a notable exception being Mari, of course). His legacy as a lawgiver reflects his genuine concern for social justice and the betterment of the lives of his people. This entry was posted in Babylon, Bronze Age, Egypt, Egyptian, History. Bookmark the permalink.